Early November 2017, Rich Lincourt from Western Massachusetts harvested the buck of a lifetime! It was a non-typical 14pt 195lb buck, green scored 197 3/8. BowhuntMass reached out to Rich to get a blow by blow of the hunt. Below is the story, tell me this doesn't make you want to jump into your stand! Scents used: "A little Evercalm on tree by my stand, the one I get dressed next to"
History on this deer: "None, right tree right time. Been hunting the area for a long time though and have seen a few big deer but never have been close." 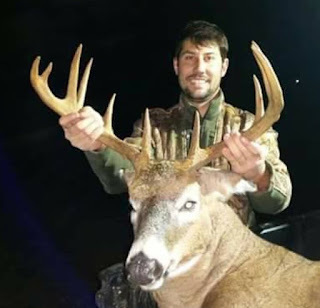 Shot: "About 7:30 I noticed a deer to my left on a steady walk towards me- as he got closer I could see he was a big bodied deer and had a nice rack, although it was light out all I really saw was the right drop tine and what looked like a club above it. 30 seconds later he was in my shooting lane slightly to my right, stopped him with a couple "merps" quartering away over a natural scrape 20-23 yds away, I pulled the trigger, saw the arrow disappear through the spot I was staring at- he bolted off to 35 yds, stopped, took a few steps and tipped over. I tried to put my bow in the holder but was shaking A LOT, looked down to try and get it to slide in and took my eyes off of the area he fell." Recovery: "Spent the next 35 minutes not really being able to tell if what I was looking at was the buck. I lowered my bow to ground and a doe came walking in, watched her for another 25 minutes before I got down. After I got on the ground, I took my bow over to where I shot him. From the sight of impact there was a massive amount of blood, by this time I could see him laying there and not moving. I carefully walked up to him and checked to make sure he was dead and then came unglued. I never really knew what he was, just a buck with a drop tine and what looked to be a club for an antler. I knew he was big but had no clue just how big. " Jessica Lincourt celebrating this amazing archery season buck. The first thing Rich did was call his wife, who couldn't have been happier for Rich. She even offered to help him drag his prized buck out of the woods! Rich told us that he hadn't talked or texted anyone other than his wife at that point. His uncle checked in on Rich not knowing what a monster he had just laid down and Rich couldn't contain his excitement. Rich said "I could barely talk, probably not really even coherent". 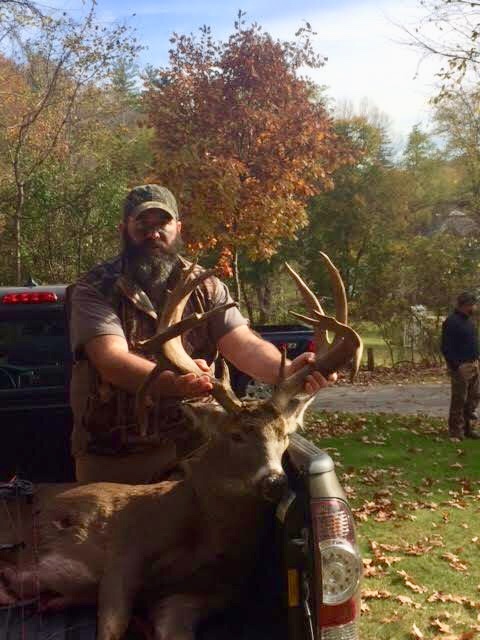 His Uncle Brian who was absolutely on cloud nine for Rich grabbed another hunter Mark to get the truck and get this trophy out of the woods. Rich spoke with his good friend Ken who was hunting in another state, but still had trouble keeping himself composed. Such an amazing story, amazing hunt, that's what it's all about. Most of us will never see a deer like this on the stand in our lifetime but living through Rich's successful harvest keeps us all dreaming! Congratulations to a great guy on an incredible Massachusetts Buck. 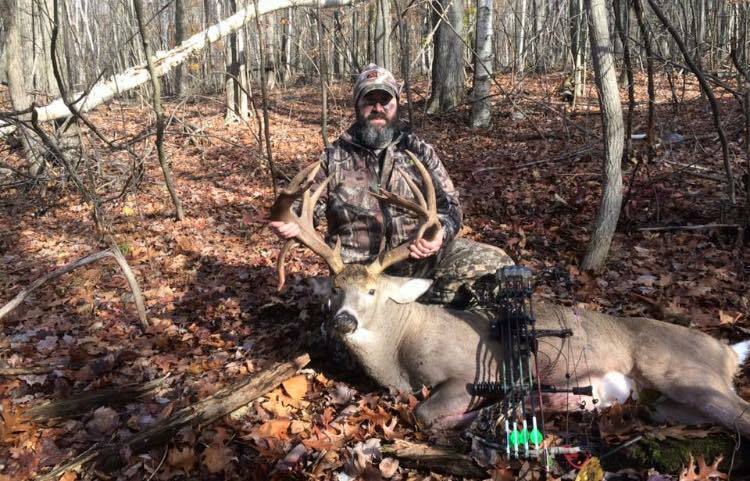 Pre Rut is on Massachusetts Monsters down! We consider the pre rut 2017 to be in full swing. Bucks are showing their faces during daylight hours and making the mistakes they haven’t made in years! The official BowhuntMass Buck of the Week winner comes from Berkshire County with a mammoth. 14 point buck!!! But that wasn’t the only deer worth highlighting in a week full of Monsters being harvested. 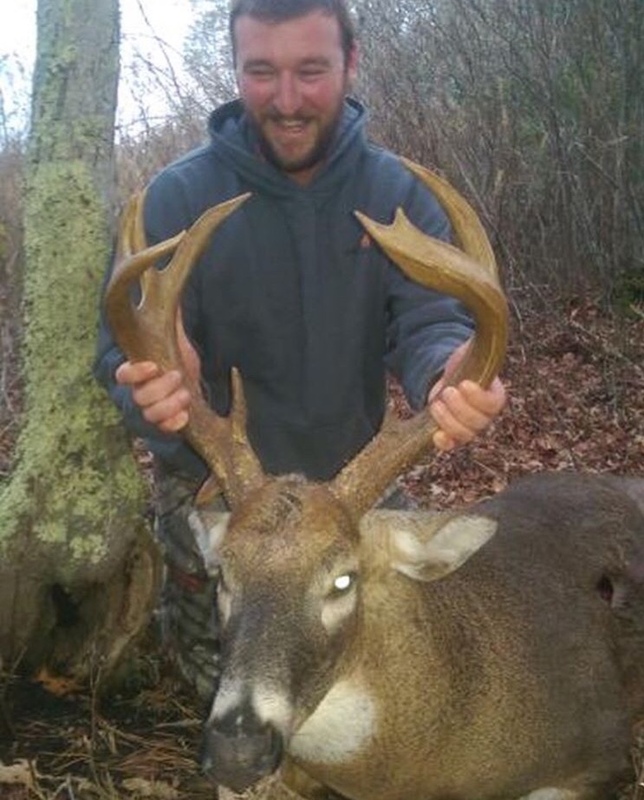 The second place finishers were Drew from Plympton MA with an unreal Zone 11 Buck. This thing had some serious antler mass. 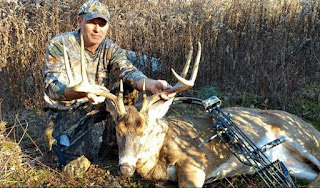 The third place deer was Ian P. with another zone 11 brute. His neck is enormous! @HUNTPERFECT has teamed up with @bowhuntmass to give you a free 3 month subscription to huntperfect.io use code "BHMASS"
Hunt perfect takes your trailcam photos and cross references them with detailed weather analytics to give you everything you need to pattern the monster buck on your cam. During the October Lull (or so they say) Brett Eilertson find some time to sneak into a zone 11 spot with his climber. 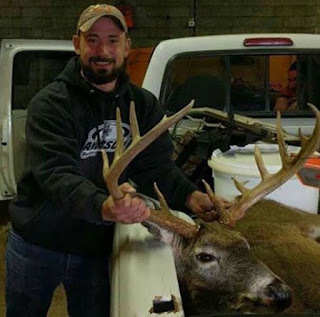 Eilertson is a commercial fisherman and hadn't been out all year until he ran into this buck. Check out the photos of this racker below! 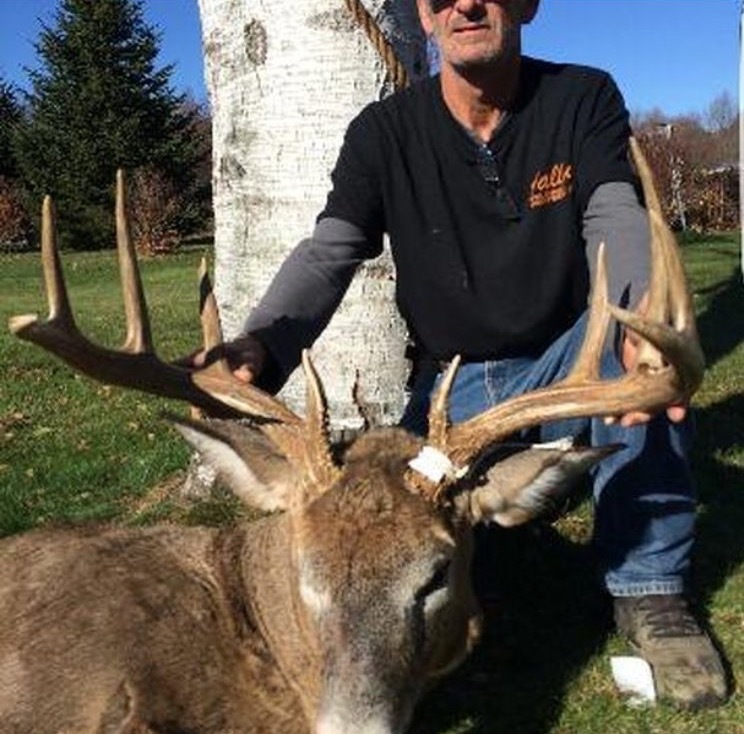 Rob C from Team NB nailed this mature buck on video in Zone 5 ! Every year we have a dozen or so requests to tell everyone where to get their deer processed. Of course if you're able to butcher your own deer that's a great option and we believe everyone should do it once or twice in their life before having a butcher do it. 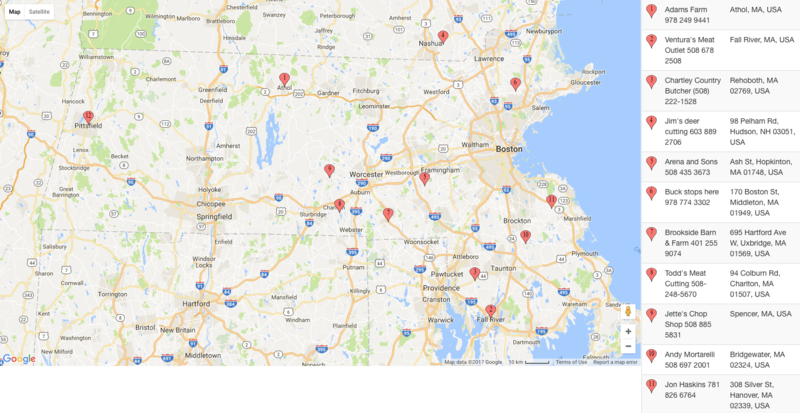 For those who just harvested a deer and need a spot to process their deer here's a cheat sheet on the places we know of in MA. 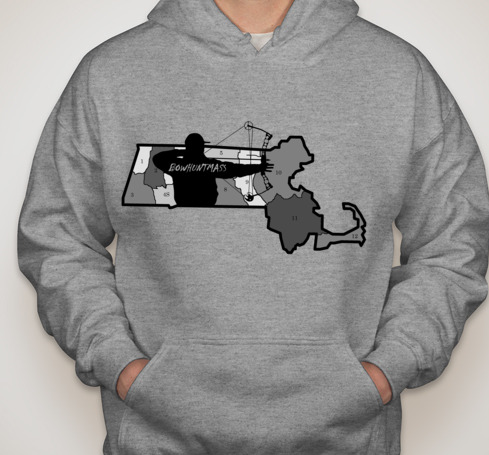 2017: BowhuntMass releases new 2017 zone hoodie! During a 2015 brainstorming session on how we could make the current logo better we scrapped the idea of the "archer" design and wanted to create a soft cotton hoodie with just the Massachusetts state and wildlife management zones. After many failed logo designs, I turned to my wife for some help on the design. She suggested combining the current logo with the new design idea. 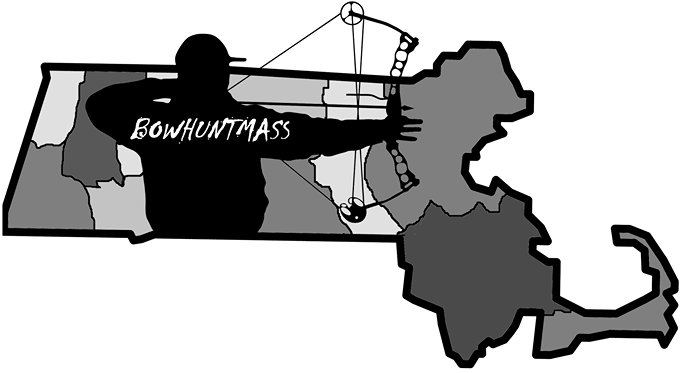 BowhuntMass hired a graphic designer to refine the logo but it was difficult to capture the concept in my head. Ultimately, I drew the design out and then created a digital print from the drawing. It's the best design to date, we hope you love it as much as we do! Oh by the way... you can buy yours HERE ! Rage has released a new broadhead with a notably different indexing collar. 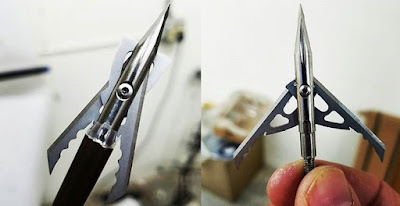 The issue of having a collar that is both durable and opens upon contact has been a struggle for Feradyne Outdoors a manufacturer of Rage and Muzzy Broadheads (for those who thought they were competitors). We assume it is because trypanophobia is a fear of hypodermic needles? Not in love with the name but the new features and specs have us in line for a trial pack. Rage hasn't released full specs yet but there's a quick peek at what we will be seeing next week. BHM decided to change things up a bit in 2017. 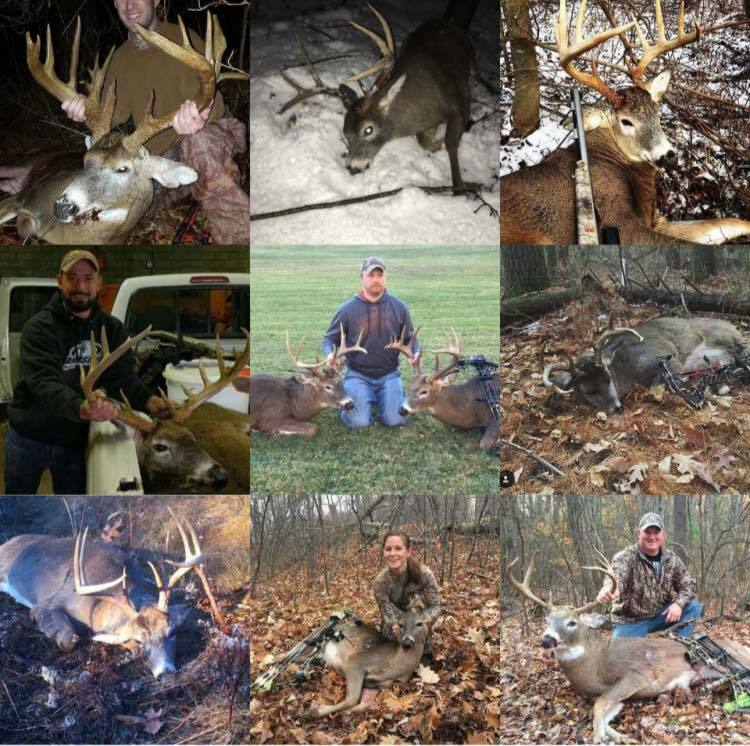 We decided to take a look back at all 250+ deer submitted through our social media and to try to narrow them down to the top 10 most impressive bucks of 2016. Only two criteria: 1. Shot in MA with a bow 2. Must have a GIANT Rack ! 10. 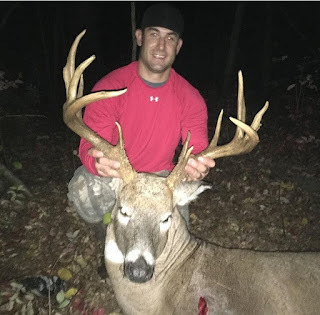 Frank Pesanello started the Massachusetts Archery season off right with this Zone 11 Monster Buck earning him a well deserved spot in the BHM Top 10 of 2016. 9. 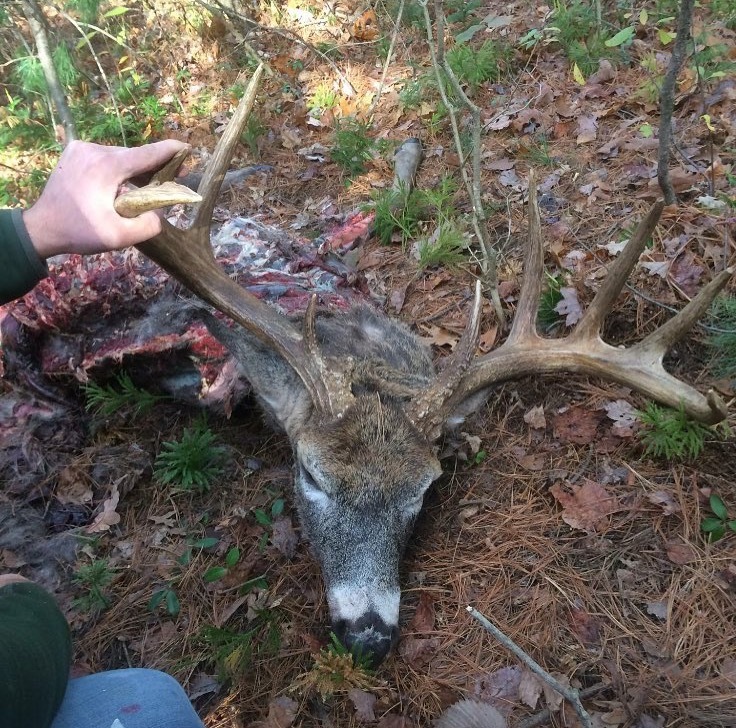 This Middleborough Monster we believe is a 12 pointer? 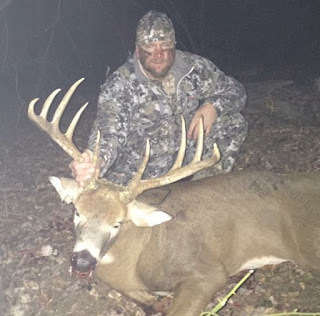 Either way great early season buck in Zone 11 making it more than BHM Top 10 worthy. 8. Jon Petryk does it at least once every year. This insanely wide racked Zone 10 Buck could find itself anywhere on this list! Great Buck shot by a great guy! 7. 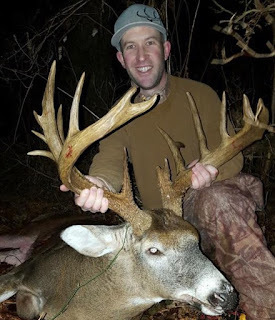 We had never heard of Williamsburg MA but this buck by Mr. Wanczyk put the town on the map. Incredible buck! 6. Patrick Burns got it done in early November in zone 5 with this giant racked buck. This 220lb buck was shot at 9AM chasing a doe! 5. 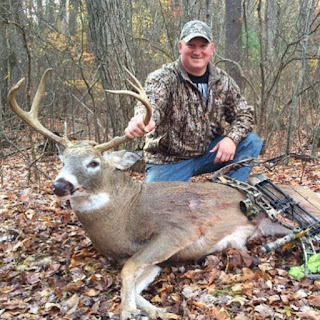 Todd Stacy with a Brute of a Massachusetts Buck. 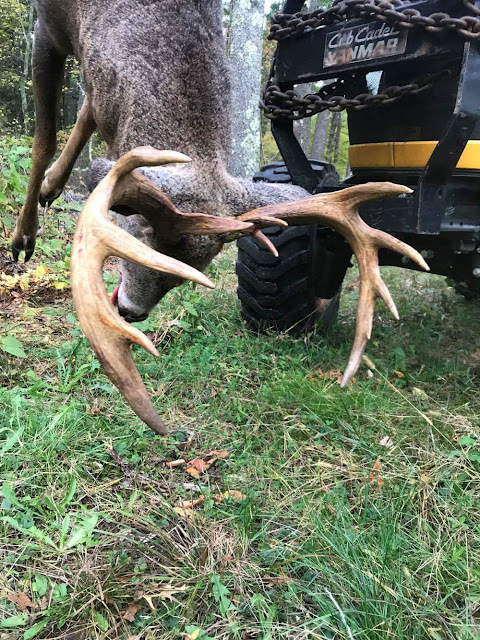 Wide Rack with tall tines. Awesome looking November buck! 4. A heartbreaker here shot by Chris Hartley. 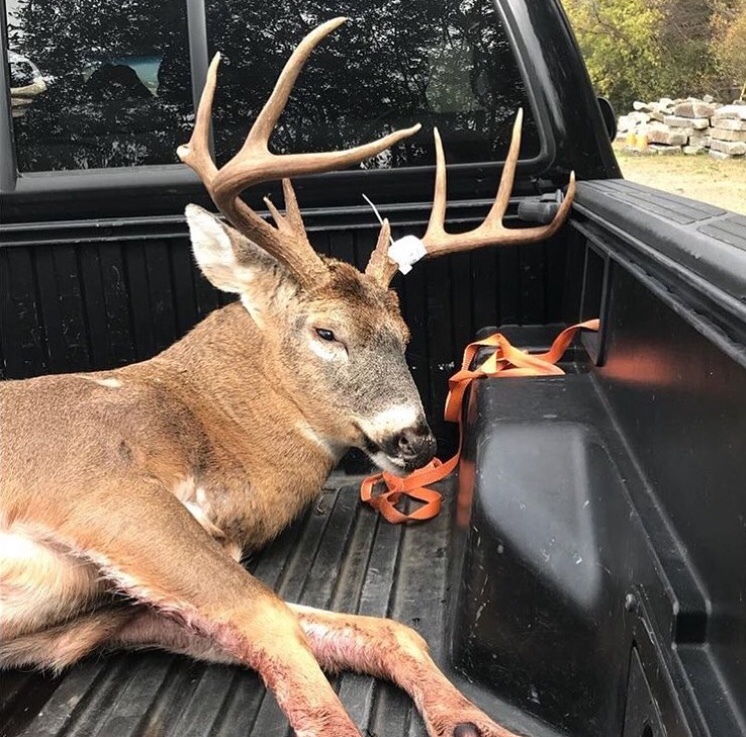 He had been after this buck for 3 years and finally connected on him. Unfortunately he didn't recover this beautiful buck before the coyotes did. 3. 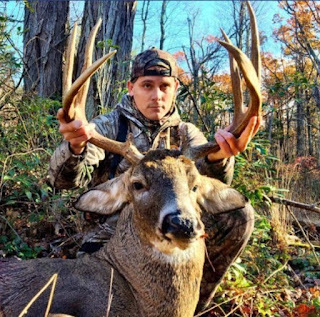 Jake Bennett with this beast of a Massachusetts Buck. Every year he puts down his share of big deer but this buck was something special to Jake. After a long pursuit he finally nailed this monster putting him in the top 3 of 2016! 2. 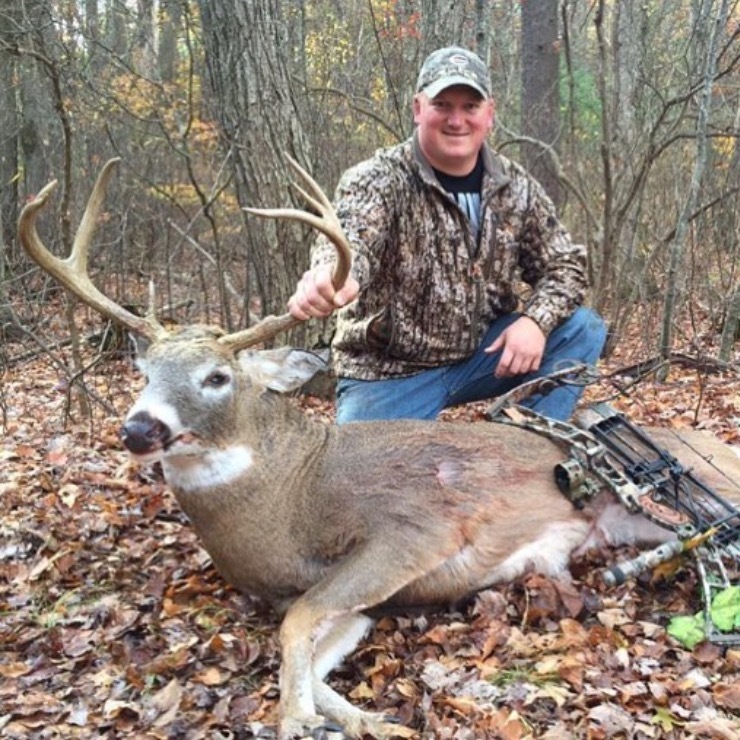 It takes a ton of skill to kill a mature buck during archery season. It takes even more to put down a beast like this with a bow during the late muzzleloader season in Massachusetts. Bradford Hull deserves a lot of credit for this brute! 1. Jonathan Hopfgarten with a once in a lifetime buck out of Plympton, MA! No surprise with this one at numero uno but what an incredible buck. Awesome story to go along with this guy. Hopfgarten also took home the BHM Buck of the Year award with this well fed buck! Labels: 2016, Big Buck, Bowhunter, Bowhunting, Buck, Hunting Season, Massachusetts, Top 10 Bucks of 2016. The BowhuntMass Top 9 Deer of 2016 are in, we used our instagram account and ranked the best deer of 2016 based on "likes".